Ugh.. Been really busy at work! All this corporate takeover stuff and the uncertainty of things to come is keeping me busy. Can you believe it?! This is my third corporate sale I've been thru... I think there's upside and downside to it... It's a good experience tough. It's interesting to note that ppl behave the same way regardless of culture and background. Will update more later... no inspiration now. PUNY HUMANS! 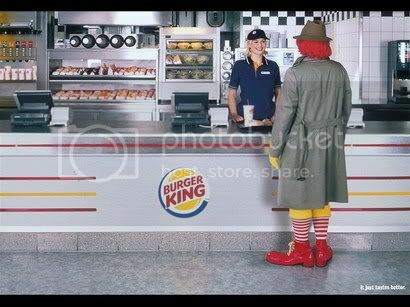 This is WHY THE GREAT NAVI thinks EVERYONE should go to BURGER KING!!! The wait is FINALLY over... the Queensland government made a profit of $1.2 billion after agreeing to sell energy retailer Powerdirect to AGL Energy. Powerdirect Australia is the former competitive retailing arm of distributor Ergon Energy and has more than 396,000 customers in Queensland and 35,000 interstate. So... it's gonna be an interesting few weeks for me at work. Ahh.. finally feel a little bit better! Ohh.. Happy Chinese New Year!~!! With that, I'll leave you with this years CNY popular Petronas ad. Enjoy! Ugh.. been sick for the last 3 days! Flu, sore throat... the works! Hence the lack of update. Will update more once I feel better... hehehe.. back to work 2morrow. Hope I survive 2 days worth of backlogs. 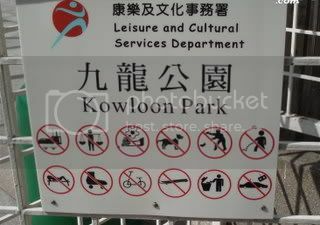 What can you do in Kowloon park? PUNY HUMANS! Please ENLIGHTEN THE GREAT NAVI. What can PUNY HUMANS do in this PARK? You make me LAUGH! BWAHAHAHA! Here's the question? What does SONY store employee do during their lunch break? 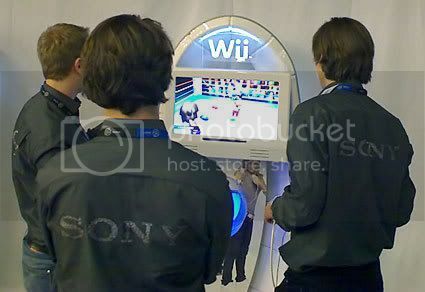 Play Wii of course... hahaha.. I guess SONY guys hafta have some fun also. 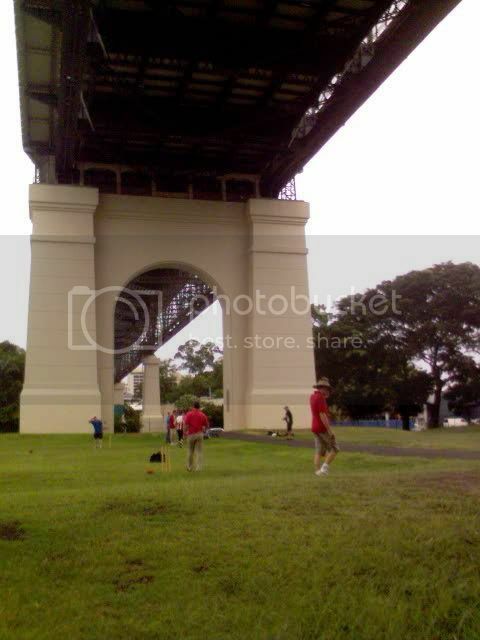 My workplace had a sports day on Friday and we actually had a game of backyard cricket under Brisbane's Story Bridge. It's actually quite nice... I took a quick shot to share with you guys the view. Master G's word of Wisdom Busy busy busy! Creative Burger King ad Interesting few weeks.... Happy Chinese New Year! I just keep trolling on people's blogs, wonder when is it that u get sick of my posts. LOL. Yeah, once again, Gong Hei Fatt Choy to u & Maria. DT Sick Ai yah, Mr Choe. I didn't know u were sick lah. Why sick?? Playing too much Wii that u don't get enough rest, huh?? LOL. Hope u are feeling better now. See u soon.